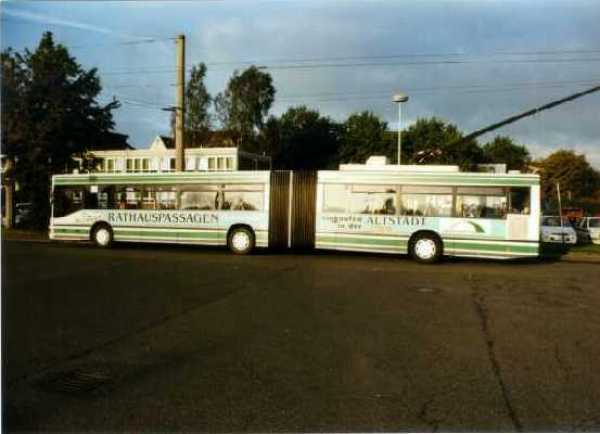 This photo show the Eberswalde articulated trolleybus no. 030 at the depot Weidenstraße by the Stadtwerke Solingen GmbH in Solingen/FRG. 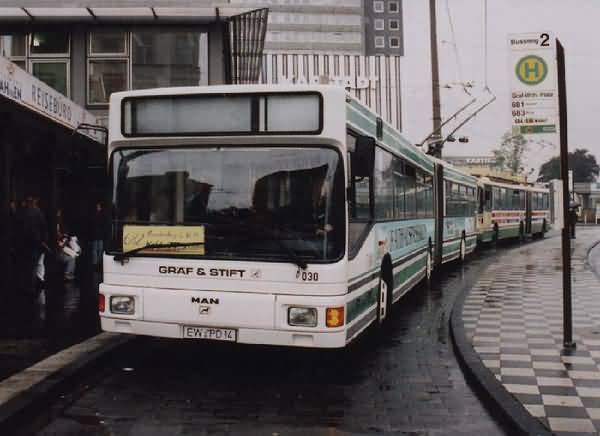 The next photo show the Eberswalde articulated trolleybus no. 030 at the bus stop Graf-Wilhelm-Platz in Solingen/FRG.